A roundup of stocks to watch Tuesday. First-time buyers make up a bigger portion of home buyers overall, according to the latest National Association Realtor survey of buyer behavior. That's not all that surprising, given that the survey spanned the time period in which the first-time home-buyer tax credit was available (and of course the first-timers weren't in a position of needing to sell into a down market). That tax credit could also be at least part of the reason why a growing number of those first-time buyers were able to tap family and friends for money for their down payment: maybe those relatives and friends felt secure about handing over the money, knowing that a payout of up to $8,000 down the road would help the home buyer pay off the debt. The housing-market bust also is affecting buyer behavior: first-time buyers say they plan to live in their new home for 10 years, and repeat buyers say they'll be there for 15 years. That's quite a bit longer than the typical seven-year average. And the sellers surveyed averaged eight years in their homes. Read Amy Hoak's Home Economics column for more on the new buyer behavior, plus read Jennifer Openshaw's column for tips on how to use your frequent-flier miles for holiday travel, and Chuck Jaffe on the seven biggest mistakes fund investors make. Do the home-buyer data signal that we are becoming a less flighty nation? Only until the next housing boom, no doubt. At a time when many Americans are wondering how — and when — the housing market will recover, some people not only are encouraging first-time buyers to jump in to the market, they're also helping them come up with a down payment. Read more: Housing-market bust is changing buyer behavior. Banks are starting to make "jumbo" mortgages again. When the credit crisis hit more than two years ago, many banks cut back or stopped making loans for more-expensive homes. Now, smaller and regional lenders are issuing more new jumbo loans and doing more refinancings — as are some big banks that never stopped making them. Read more: The jumbo-mortgage comeback. Helicopter Ben to housing's rescue? If the darkest hour comes just before the dawn, could this approaching winter be the bottom of our three-year long home-price nightmare? Read more: Helicopter Ben to housing's rescue? What will happen to the federal estate tax? A reader writes: In reading about what will happen to the Bush tax cuts in 2011, the federal estate tax is never mentioned, in my experience. Why so, and what should we expect? Read more: What will happen to the federal estate tax? Where do your federal tax dollars go? Many people don't know. A recent Kaiser Family Foundation survey found that 40% thought foreign aid was one of the two largest federal-budget expenses. In reality, Uncle Sam spends $14 on Medicare—itself the second-largest expense—for every dollar spent on foreign aid. Read more: Tracking your federal tax dollars. Like a lot of you, I've been hoping to take a trip during the holidays. But whenever I think of hopping online to use my frequent-flier points, I worry I'll need a whopping 50,000 points to get a flight. Read more: Five tips to tap frequent-flier miles. Retailers appear to be preparing for their best Christmas in years, based on the hiring they did last month in their initial staffing preparations for the holiday season. Read more: Retailers hiring aggressively for the holidays. Less than a year after the passage of new laws limiting banks' ability to impose certain fees on credit and debit cards, Bank of America Corp., Discover Financial Services, J.P. Morgan Chase & Co. and other lenders are using different tactics to boost their fee income. Read more: Here come the new, new bank fees. Big Banker is watching you—more closely than ever. With lenders still skittish about making new loans, credit bureaus and others are hawking services that help banks probe deeply into your financial closet. Read more: New ways bankers are spying on you. Blame the banks all you want for the anemic growth in the American economy, but the real culprit seems to be lack of demand, not a lack of supply of credit. Read more: Banks can't make anyone borrow. The president of the World Bank said in a newspaper editorial Monday that the Group of 20 leading economies should consider adopting a global reserve currency based on gold as part of structural reforms to the world's foreign-exchange regime. Read more: World Bank chief calls for new gold standard. Institutions that are failing because of their own recklessness or mismanagement should be allowed to fail no matter what size they are, Morgan Stanley Chief Executive James Gorman said in a wide-ranging discussion Monday. Read more: Reckless banks should fail. The chairman of the Federal Reserve denied Saturday that he's trying to increase inflation as a means to help the U.S. economy grow. Read more: Bernanke says increasing inflation is not the goal. "We are not amused." The frosty words forever on the pursed lips of Queen Victoria 150 years ago seem to match the mood of German Chancellor Angela "Ironsides" Merkel as she contemplates renewed U.S. monetary adventurism after last week's much-heralded QE2 announcement. Read more: President Obama, the new Nixon. Four newly elected Republicans, including two backed by the tea-party movement, are helping to plan the Republican Party's transition to power in the House of Representatives. Read more: Incoming freshmen helping GOP transition. There's a difference between trying to do the right thing and actually getting it done.The biggest mistakes mutual-fund investors make fall right in the middle, where an investor trips over the fine line that separates good investing habits from bad. Read more: The 7 biggest mistakes fund investors make. 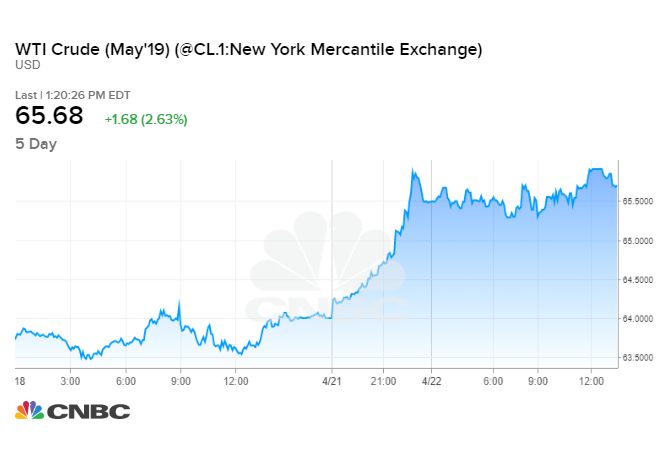 In the aftermath of the "flash crash" that rattled the markets worldwide on May 6, the head of the Securities and Exchange Commission said she is looking at whether new restrictions should be placed on traders that use mathematical algorithms. Gold futures went from retreat to record Monday, scaling $1,400 an ounce to settle at a new best. Read more: Gold breezes past $1,400, hits record high. Gold goes onwards and upwards. And key letters say there are reasons beyond looming inflation. Read more: Not just inflation fears boosting gold. Growing numbers of mortgage-backed securities investors are taking a legal cudgel to banks that sold them souring investments. Read more: Investors sue over mortgage-backed securities. Zenyatta, the mare whose quest for a record-breaking 20-win and undefeated career captured the imagination of horse-racing fans around the world, fell a head short in her bid for perfection Saturday, losing the Breeders's Cup Classic to a colt named Blame at Churchill Downs in Louisville, Ky.
Read more: Zenyatta falls a head short of perfection. Two of the top investors in India, Punita Kumar Sinha of the Blackstone Group's India Fund, and Luciano Siracusano of the WisdomTree Indian Earnings ETF, discuss opportunities in the region with CNBC. SEC Chairman Mary Schapiro discusses writing new rules and some of the main concerns she's hearing from the financial industry, with CNBC's Mary Thompson. Top regulators and CEOs are meeting at the annual meeting of the Securities Industry and Financial Markets Association, with Timothy Ryan, SIFMA president & CEO. The Fed's move to pump another $600 billion to prop up the economy is not going to work, says Uwe Parpart, chief economist & strategist, Asia at Cantor Fitzgerald. He tells CNBC's Bernard Lo, Oriel Morrison & Adam Bakhtiar why this move will backfire. Chrysler boosts 2010 outlook, vows to "fight harder"
Andrew Burrell WOODSIDE Petroleum is suddenly in play after Shell stunned the market by offloading a $3.3 billion stake. Kristina Peterson US stocks weakened today as concerns over European sovereign debt added to worries about the effects of the Federal Reserve's recent moves. Rhiannon Hoyle GOLD has climbed to a record high, breaking above $US1400 a troy ounce amid renewed concerns over European sovereign debt. Siobhan Hughes THE chief counsel of a probe into causes of the BP oil spill says so far he hasn't found evidence that anyone put money ahead of safety. James Chessell and Damon Kitney THE Ten Network Holdings board is moving closer to striking a compromise deal with dissident shareholders James Packer and Lachlan Murdoch. Michael Sainsbury, China correspondent RIO Tinto is finalising the renegotiation of its $1.65 billion a year iron ore joint venture with troubled Chinese group Sinosteel. Tracy Lee EXPLOSIVES and mining services provider Orica has almost $2 billion in its war chest and is looking at offshore targets. Alexandra Frean AOL may be preparing the way for a partnership with Yahoo that would bolster efforts in their fight against the might of Google. Treasurer Wayne Swan is going all out to ensure a surplus is delivered. Mr Swan will release the Mid-Year Economic and Fiscal Outlook just after 9am today. Contained in the document will be $3.4 billion in savings that the Treasurer has found as a booming dollar has taken a bite out of the bottom line. "MYEFO will confirm that despite the big hit to revenue caused by the higher Aussie dollar, our budget will still be back in the black in 2012-13,"
David Uren says there will also be cuts to the public sector information technology program, passport-fee increases and an increase in the efficiency dividend required annually from the public service. It will also bring to account some of the government's election spending promises. Remaining election promises will be included in next year's full budget. Talking picture: The PM and the pup. After three days of AUSMIN talks, US Secretary of State Hillary Clinton discussed the US view of China's blanket claim to sovereignty over the South China Sea, its reaction to Japan arresting a Chinese fishing captain who rammed a Japanese naval vessel and its demand that the US not send an aircraft carrier to exercise in the Yellow Sea near South Korea with Greg Sheridan. "We think it is part of the testing process that countries go through," the Secretary of State said. "When the Chinese first told us at a meeting (in China) of the Strategic and Economic Dialogue that they view the South China Sea as a core interest, I immediately responded and said, 'We don't agree with that'." "So they (the Chinese) were on notice that if they were in the process of extending their efforts to claim and control to the detriment of international law, freedom of navigation, maritime security, and the claims of their neighbours, that was a concerning matter," Mrs Clinton said. NYT: Afternoon Business News.- Obama Presses to Finish Trade Deal With South Korea. New terms for Korean imports of autos and beef are sought to help its passage through Congress early next year. The rules require additional screening on packages from outside the country and ban some printer cartridges. A plan to buy $600 billion in Treasury quickly came under attack from Germany, Brazil and China, which said America was trying to devalue the dollar. The automaker lost $84 million in the third quarter, less than half as much as in the previous quarter. Recent jitters in the bond market are a forceful reminder that investors remain wary of European sovereign debt. SEC : New Rules Prohibiting Market Makers Stub Quotes. The Securities and Exchange Commission approved new rules proposed by the exchanges and FINRA to strengthen the minimum quoting standards for market makers and effectively prohibit "stub quotes" in the U.S. equity markets. Nov 8, 2010 Frontier Communications Q3 10 Earnings Conference Call At 9:00 AM ET Frontier Communications Corporation (FTR) will host a conference call at 9:00 AM ET, November 8, 2010, to discuss its Q3 10 earnings results. To access the live webcast, log on at http://phx.corporate-ir.net/phoenix.zhtml?p=irol-eventDetails&c=66508&eventID=3354493 A replay of the call can be heard by dialing 888-203-1112 (US) or 719-457-0820 (International) with passcode 7326674.